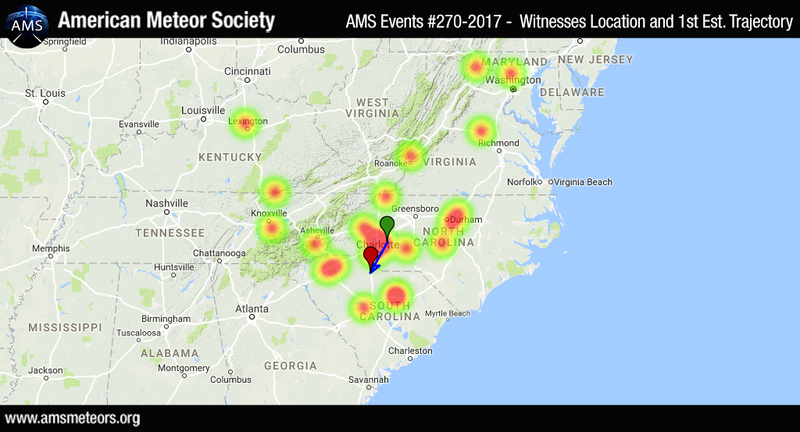 The AMS has received 25 reports so far about of a fireball event over seen over North Carolina and South Carolina on Wednesday, January 25th 2017 around 04:15 EST (09:15 UT.). 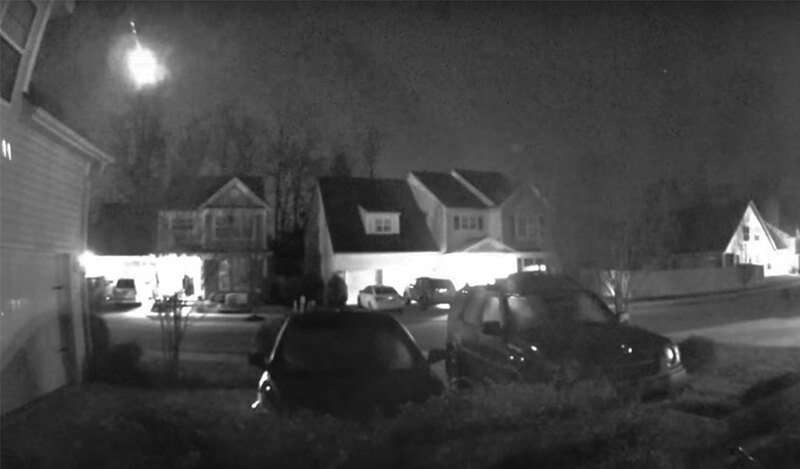 The fireball was seen primarily from North and South Carolina but witnesses from Virginia, Tennessee, Kentucky and Maryland also reported the event. If you witnessed this event please fill an official fireball report. If you have a video or a photo of this event please contact us. The map below shows the witnesses location with the first estimated trajectory. The preliminary estimated trajectory plotted from the witness reports shows the meteor was traveling from the Northeast to the Southwest and ended its flight south of Rock Hill, South Carolina. It looks like NASA’s all sky fireball network captured this event as well. 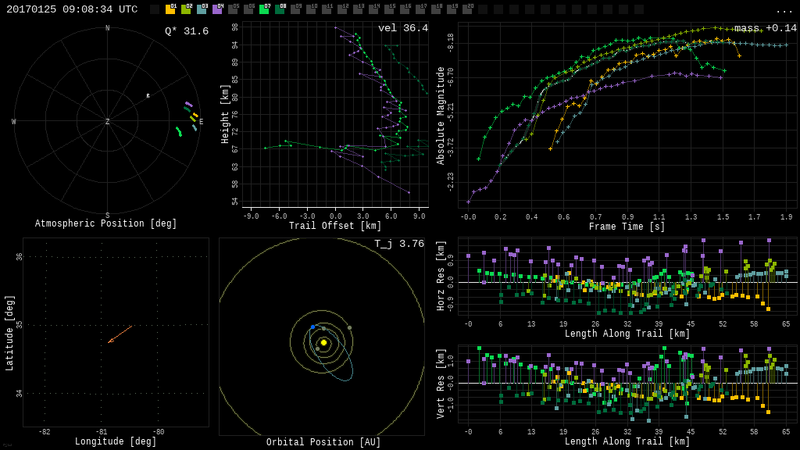 The calculated trajectories align quite well surprisingly. Hopefully this validates the approach of using eye witness reports to estimate the trajectory of a meteor. Here is the link to their Report of the fireball and the orbit of the meteor prior to the collision. I saw a bright flaming light at 12:30 AM January 1, 2017. It was very bright and low in the sky. More like a meteor. It was very fast and just over horizon. Looked like it was on fire. I live in Union County South Carolina.